Last Saturday it was the last tomorrowland ticket sale. And if you also didn’t get your hands on tml tickets… Then I have the perfect article for you! I’m going to show you 6 alternatives for tomorrowland. So time to show you some alternatives. This festival is in the same weekend as the first one from tomorrowland. Parookaville is a festival in Weeze in Germany. This festival almost has the same line-up as tomorrowland. So it’s only the stages and location that is different. 😉 So I would say that this festival is a good alternative. Mysteryland was the festival that I visited when I didn’t get my hands on tickets for tomorrowland. And if you say that tomorrowland is big, then you never been on mysteryland. Because, wow this festival was huge and so special! So be sure to check out my article about mysteryland, because this festival is for sure worth it! It takes place the last weekend of August, in Haarlemmermeer. The prices from this festival are sweeter then the ones from tomorrowland, so this is for sure good option. I don’t know or you know this? But I think that dvlm will do this again this year. Because it’s a tradition that they perform in the ‘sportpaleis’ 4 times. 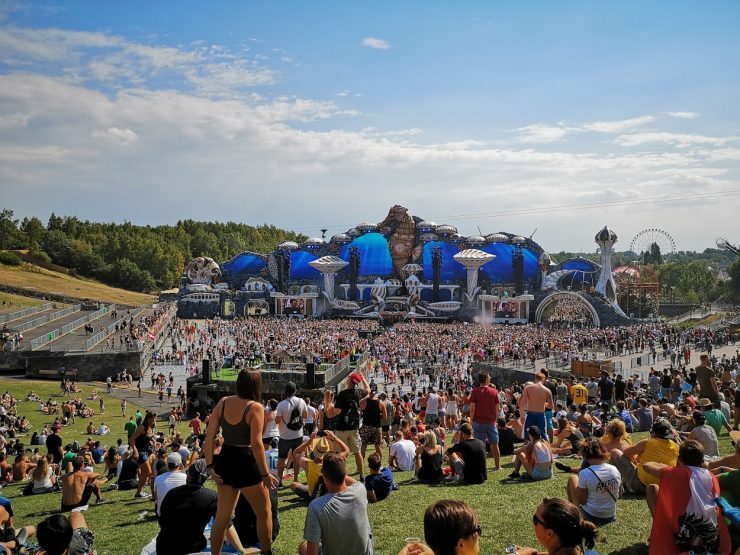 And think about the beautiful tomorrowland atmosphere and decors and dj’s like Armin Van Buuren, Netsky, Nicky Romero,… So if you really wanna experience a bit of the tomorrowland vibes, then is this maybe a good option. It’s always in the month December. I never attended a show, maybe this year… But I always see and hear that it’s for sure worth it! Do you wanna get the tomorrowland ‘Tastes of the World’ experience? Then you can get a lunch or dinner at Mesa in Antwerp. This is high on my to do list. Because on tomorrowland I already had a first experience with the ‘taste of the world’ kitchen with brasa. And this was so good, so I’m pretty sure that this restaurant in Antwerp also will be amazing! The prizes for lunch are around €35 and for dinner €45 or €55. Balaton Sound is one for the biggest electronic music festivals in Europa. This festival is located at the Balaton lake in Hungary. So perfect to combine this with a (city)trip to Budapest! On balaton sound you can expect a lot of international artist and dj’s and this 24 on 24h. So it will be for sure a mind blowing party! – You really wanna go to tomorrowland? Then you got two options… Registration on the waiting list, because you never know… Or you can work at tomorrowland! Ok, this is not the same… But hey, you are on tomorrowland and with some luck are you free on the right times! There are many ways to work on tomorrowland like behind the bar, hostess, steward, volunteer,… So if you really wanna go to tomorrowland this year, that I hope you are something with these two option!